We’ve spent a lot of time together, you and I, and I’ve notice something: no one ever tells you how great you are. We’ll I’m here to right that wrong. To my Kelty Trekker– Thank you for not breaking like Eddie’s Jansport. To my Kelty Super Tioga, bought one size too large so I could grow into it– Things could have been great for us. Then I stopped growing. I know I let you down, but I promise, it’s me that got the short end of the stick. To Padre’s North Face Big Shot– We went to Tibet together once. To my Camelbak M.U.L.E– You look so big, but you hold so little. To my Osprey Exos 38– I’m sorry. And you seem to be happy. That’s good. You deserve to be happy. To my Camelbak Octane 24– Thank you for being just light enough that I can never justify leaving you at home. To my Arc’Teryx Miura 30– What can I even say? …and even through not very funny fat jokes. You’ve seen snow in the desert, tropical beaches, and climbed across the Great Wall of China. Nearly every picture on this blog was taken with you on my back. Padre liked you so much he bought one just like you. And he doesn’t like anything. You’re getting old, old friend. And my duct tape isn’t going to hold you together forever. But don’t worry about that now, we’ve got hikes to go on. To my Arc’teryx Bora 80– You are an absurd pack. Way too heavy. Way too big. Way more pack than I could ever need. To my GREY Patagonia Ascentionist 35– You seem pretty great. Don’t be like your brother. And last by not least, To my Osprey Poco Premium–You are important. Sure, Osprey might have upgraded you to a new model EXACTLY ONE WEEK AFTER WE BOUGHT YOU. And yeah, Toddler Jack, gives us looks of sheer terror every time we put him in you. Disclaimer: This post, and all posts on LesserPlaces, may contain affiliate links– links that allow me to receive a small kickback at no additional cost to you when you shop through them. This is how we keep the lights on. Don’t forget you can follow Lesser Places by email, or on Twitter, Tumblr, and Instagram using the menu at the top of the page. Or, you could click the links below to share with your friends directly. Or, copy and paste the URL someplace you think people will find it useful. Or, print the story, place it in a nice envelope, and send it to one of your friends. Basically we support any way you want to share. No, we aren’t above begging. 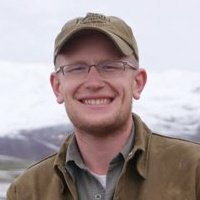 Max Wilson is a graduate student studying ecology at Arizona State University. He writes here at Lesser Places, occasionally for Backpacker.com, and even more occasionally for scientific journals. You can follow him on twitter @maxomillions.